Elevated potassium in the bloodstream is called hyperkalemia. Increased serum potassium can result from many different conditions, such as renal or respiratory dysfunction, diabetes, bradycardia, inadequate adrenal cortex function or metabolic acidosis. Treatment for hyperkalemia varies based upon the cause of the disorder. When high potassium is the result of acidosis, baking soda is sometimes used as a temporary remedy. If you experience symptoms of acidosis -- fatigue accompanied by nausea or vomiting, weakness and drowsiness -- consult your physician before engaging in self treatment. Serum potassium levels higher than 7.0 millimoles per liter indicate a serious medical condition requiring immediate attention, according to MayoClinic.com. Normal potassium levels are between 3.6 and 5. 2 mmol/L. Elevated potassium can be present with no apparent symptoms. However, symptoms can include muscle weakness, fatigue, nausea and weak or slow pulse. When these symptoms occur and are not treated, exacerbation of the condition can lead to coma or death. High potassium, or hyperkalemia, is treated according to the cause of the problem and the associated symptoms. When hyperkalemia results from too much acidity in the blood, called acidosis, baking soda can be prescribed. Bicarbonate of soda is commonly called baking soda because it is used as a leavening agent. However, baking soda, bicarbonate of soda, occurs naturally in all living things and helps organisms maintain the proper pH balance. When disease or disorder prevents the kidneys from removing excess potassium from the blood, the body's production of bicarbonate of soda can be insufficient to buffer the blood's acidity, resulting in acidosis. Baking soda can relieve acidosis because it is a base and neutralizes acid in the blood. Individuals prone to kidney stone formation who have elevated potassium levels are sometimes prescribed a sodium citrate supplement such as Bicitra or sodium bicarbonate, according to James Buchanan Brady Urological Institute. Joyce C. Hollander, et al. in a 2006 American Family Physician's article indicates hyperkalemia related to certain types of renal failure and metabolic acidosis sometimes responds to treatment with 1/2 to 1 teaspoon of baking soda per day. Baking soda is used by some athletes to increase muscular endurance for short periods of time. 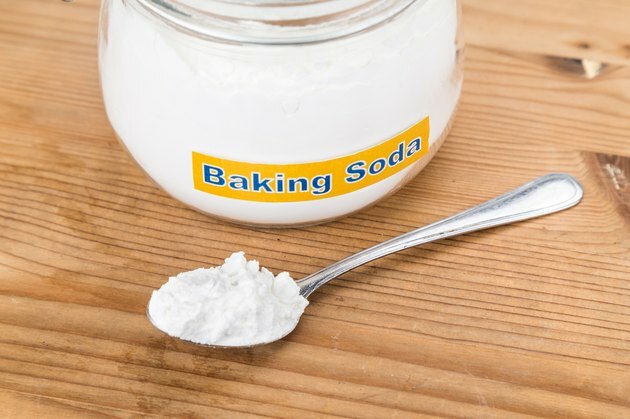 Empirical evidence for the efficacy of baking soda, called soda loading, for athletic purposes, is contradictory, according to a report by Peak Performance. Benefits of neutralizing the blood through the use of soda are measured in seconds. However, taking baking soda to lower potassium and reduce muscle fatigue can result in a serious medical emergency. Symptoms of baking soda overdose are vomiting, constipation or diarrhea, muscle weakness and spasms, irritability and convulsions. Call the Poison Control Center immediately if soda overload is expected. Do not take baking soda without consulting your physician. What Do High Sodium Levels Mean?